Grapefruit nic salt juice from Skwezed tastes like a fresh grapefruit was squeezed directly into the bottle for your vaping pleasure. 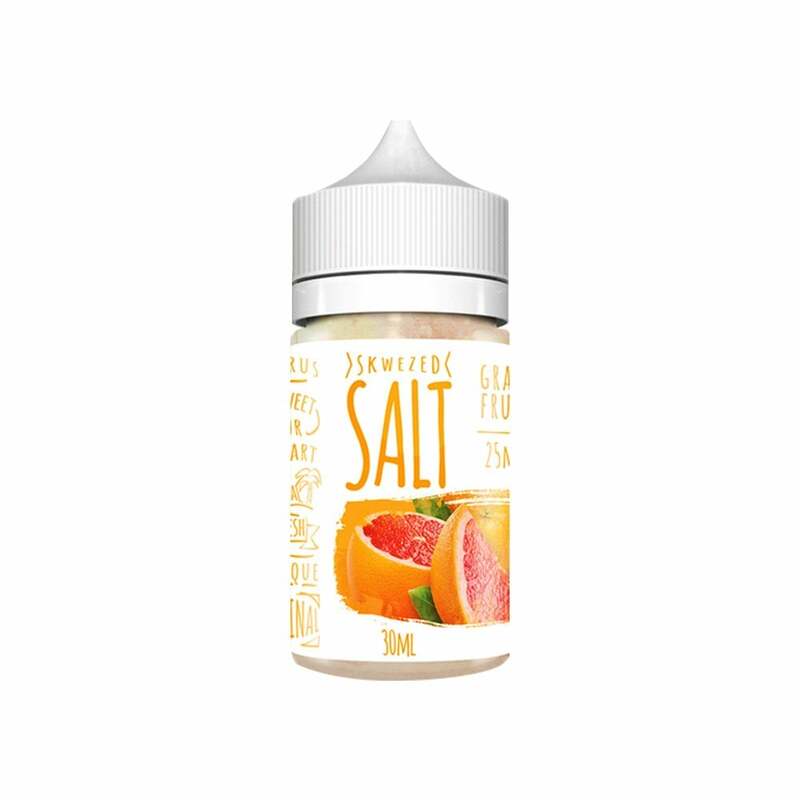 This delectable nic salt brings you all the flavor of grapefruit without being overbearingly sweet, and the Skwezed nic salt formulation adds an extra level of smooth satisfaction to every hit. Skwezed Grapefruit nic salts are available in 50mg (5.0% nicotine), and 25mg (2.5% nicotine) and are compatible with your favorite pod mod. I don't understand the rave reviews, this juice tastes like the bitter white stuff from the peel. If you like that bitter taste, this is for you. But if you prefer the juicy pulp without the rind, I would not recommend this one. This stuff is menthol. It doesn't mention anything about it having it in there. I think it would be ok if not for the menthol. This one really surprised me, it tastes exactly like grapefruit but has a sweet undertone nothing obnoxious just tasted natural! Amazing juice! A very lovely Grapefruit vape. Flavor is well balanced, not overly seeet or artificial, it just feels pleasant and an ADV for me. The nic even at 25mg is still hitting too hard. Good juice I just don't prefer it. I’ve recently come across the grapefruit juice and it was love at first sight. Very pleasant grapefruit flavor, not overly strong or tart, just well balanced. When I saw the salt in 25mg it was a god send as 35mg is too strong for me. I’m so glad I bought it as the nic is just right and the flavor is just as the juicer I’ve come to love in my RDA.